One of the 'big six' energy providers has announced plans designed to ensure that it's more transparent in regards to its complaints data. 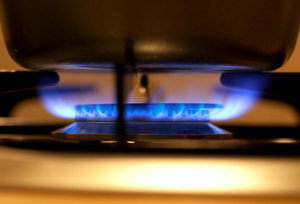 British Gas has made the changes with the aim of making sure customers can accurately compare the levels of customer service with that offered by other energy suppliers. It has revealed that it hopes that other firms will quickly follow suit. The firm, which is partaking in the Warm Home Discount Scheme, decided to make the changes in light of recent research which showed 90 per cent of customers wanted a consistent method of comparing complaints data, which was also simple to use. Managing director of residential energy at British Gas, Ian Peters, said: "Energy customers want to be able to compare energy suppliers on service as well as price. Simple, easy to compare information helps customers make an informed choice about their energy supplier. "British Gas has set out a clear way of reporting complaints data. We are calling on all energy suppliers to adopt the same standard so that customers can, for the first time, make a meaningful comparison of customer service levels." At present energy suppliers are only obliged to post an annual complaints report on their website by October 31 each year. However, with the exception of including the total number of complaints a supplier has been unable to resolve on the same day, or at least within the next working day, there is no agreed format for the recording of complaints. British Gas has now decided to publish a quarterly update which also includes the percentage of resolved complaints on the same day or the next working day, as well as the complaints resolved in an eight week period. Amongst the additional items the firm will also publish is a top five list featuring the reasons for complaints being made for each quarter - with the aim of then tackling these issues head on.